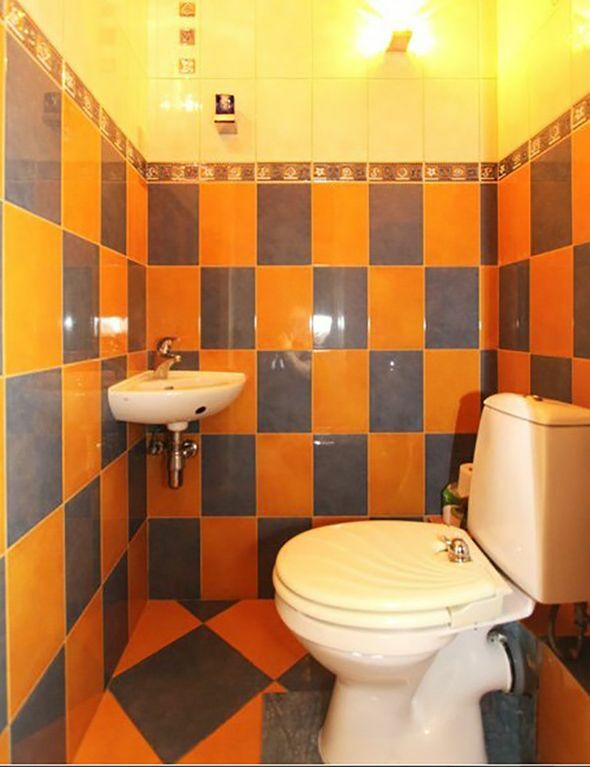 One of the best offerings on the market of apartments' daily rentals. 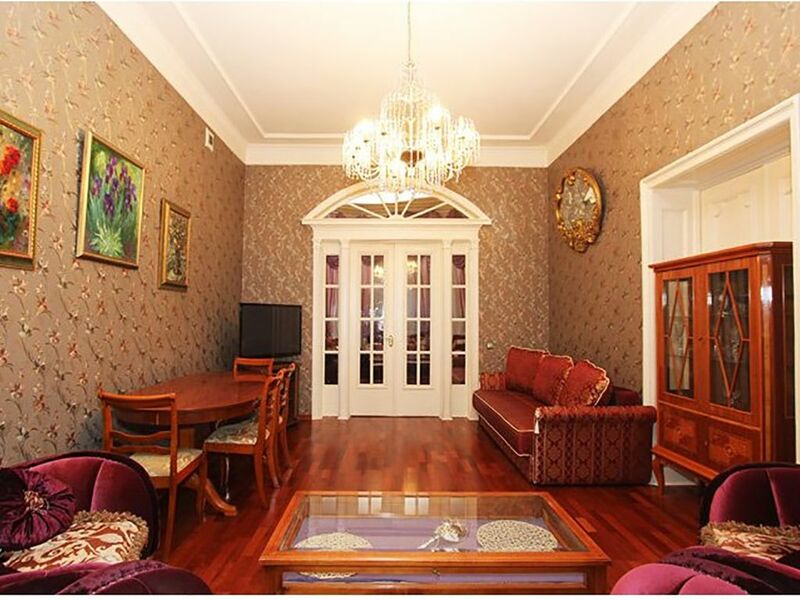 Elegant design of of 2-room apartment with an area exceeding four to five-room apartments. 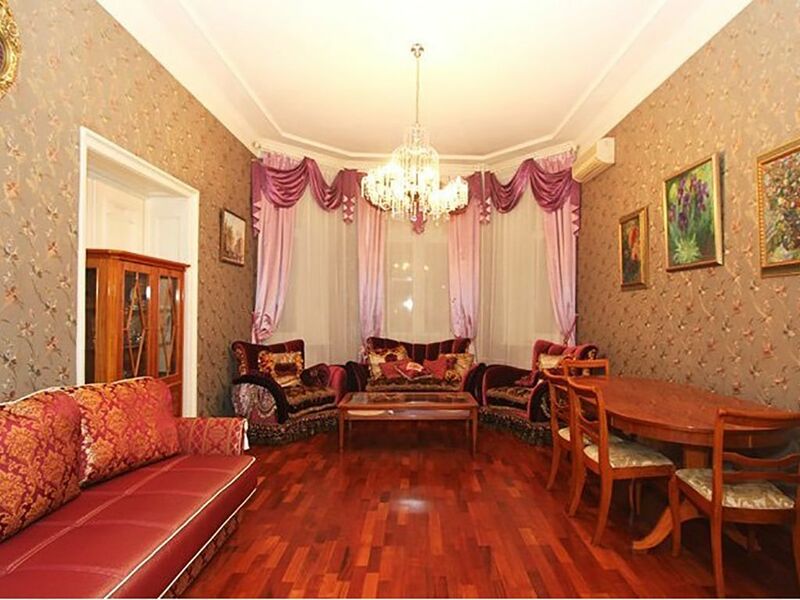 In the great living room there is a sitting area with a sofa, two armchairs and a coffee table. Next, a modern double sofa bed and a large oval table with six chairs. 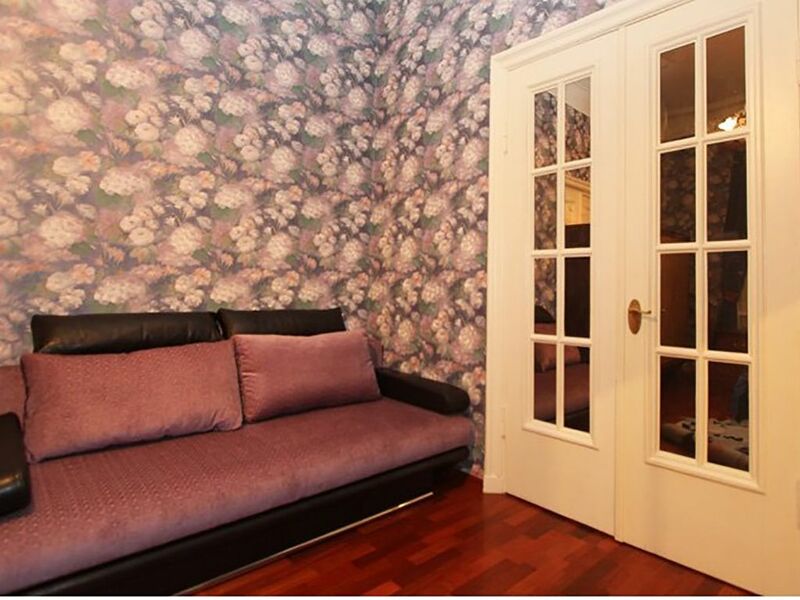 In the bedroom along with a comfortable double bed there is also a fold-out sofa bed and a wardrobe. 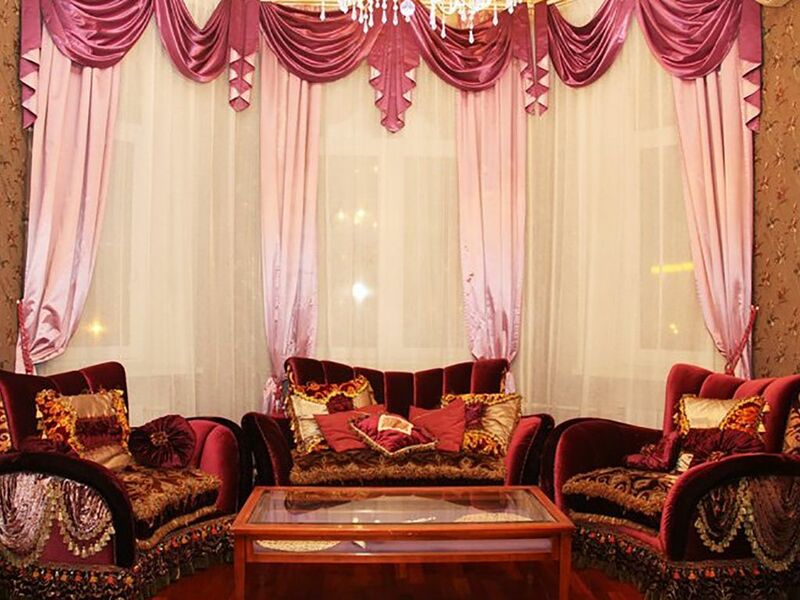 The furniture is modern made in an old style. 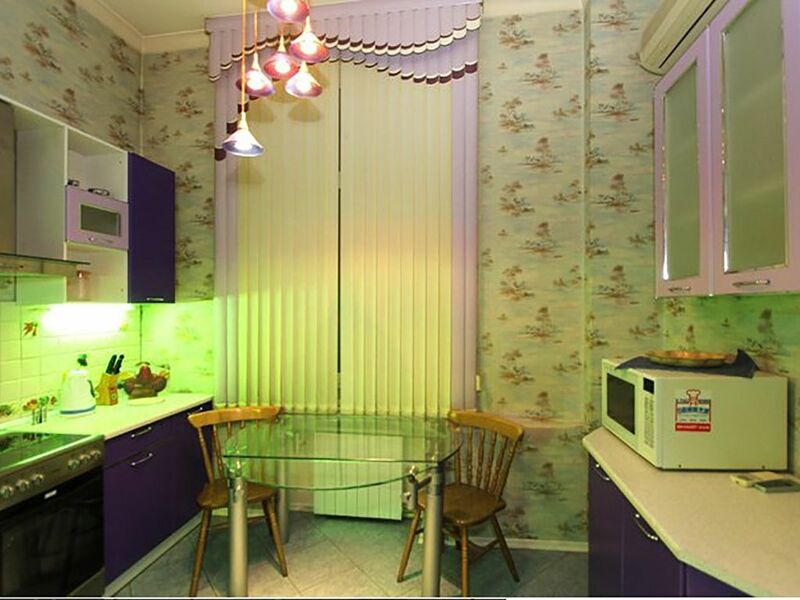 In the kitchen -there is a kitchen set and a dining table with glass top. 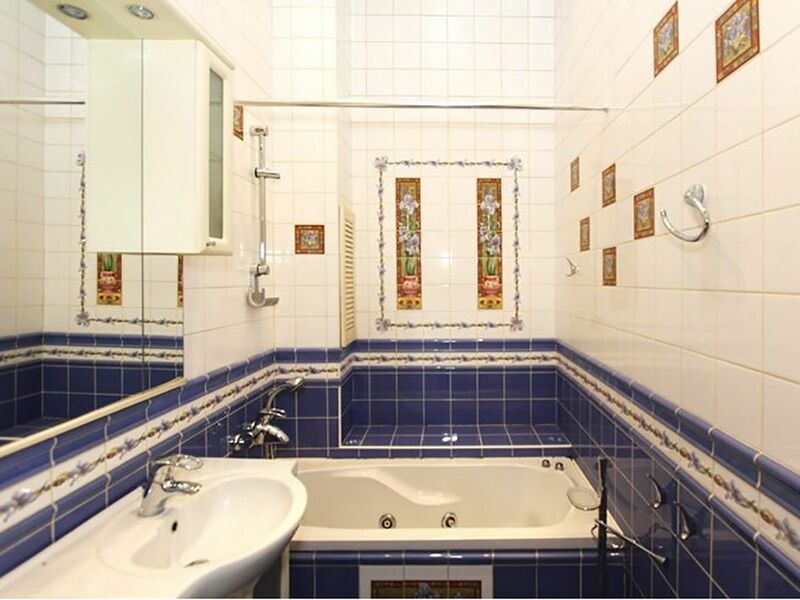 Separate bathroom with jacuzzi tiled to a ceiling as per European standards. 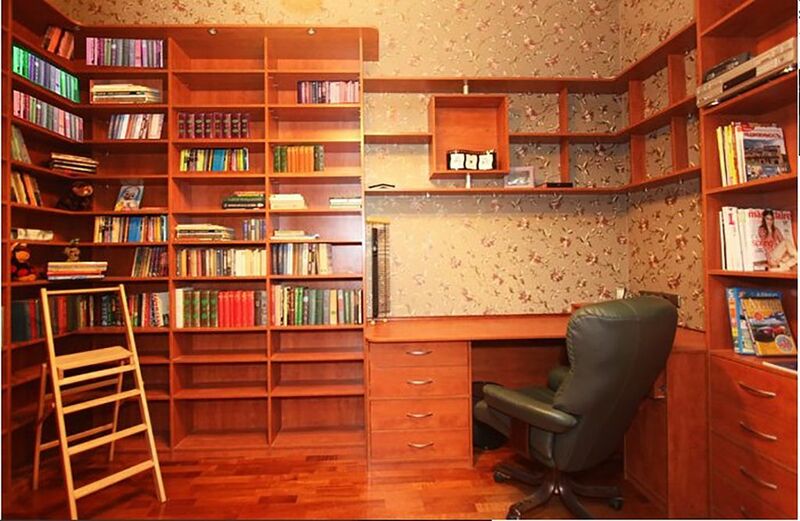 There is also a separate room with an office chair and a library and a separate walk-in closet. 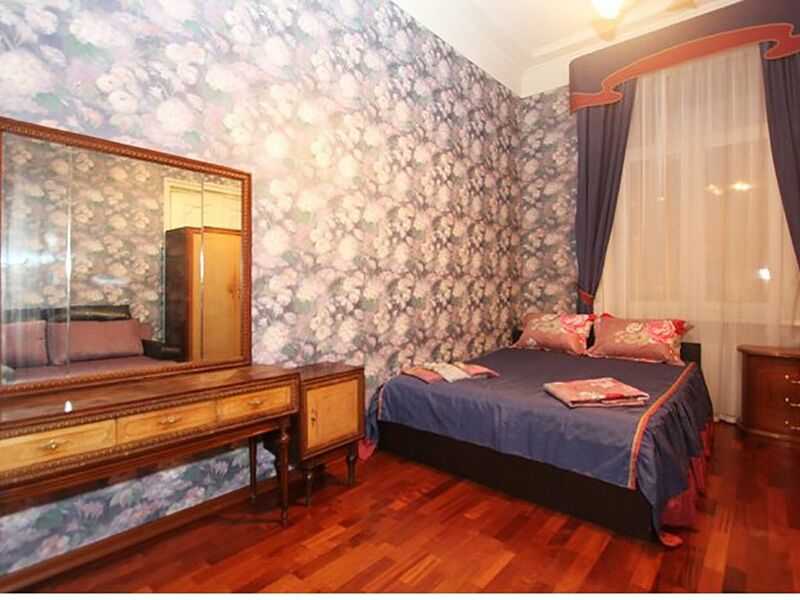 Throughout mirrors and other attributes of elite housing. . , - . , . , . , , . . . , , . . .